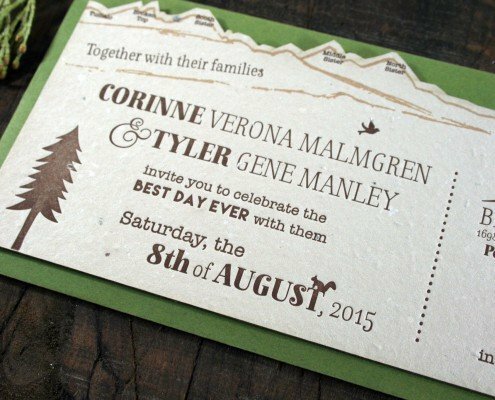 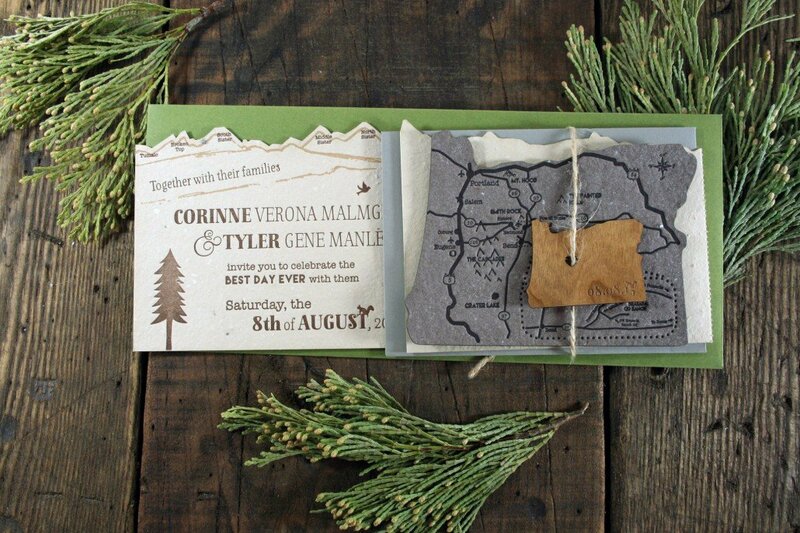 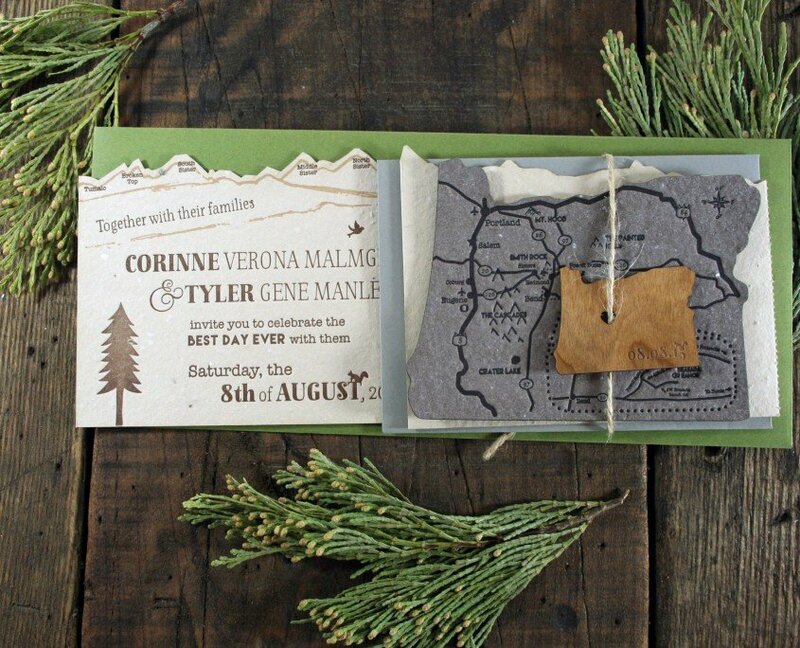 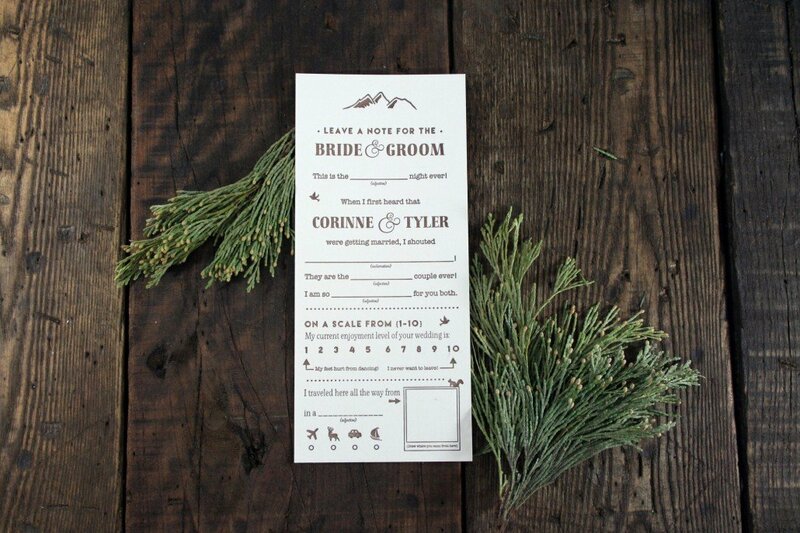 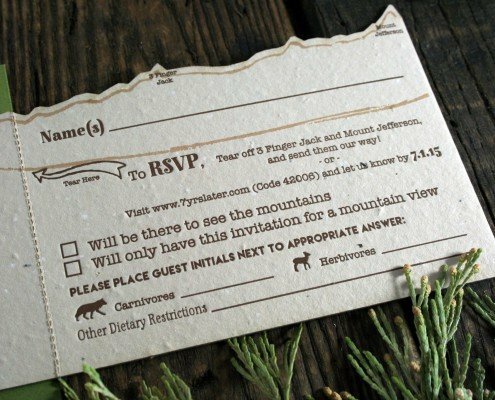 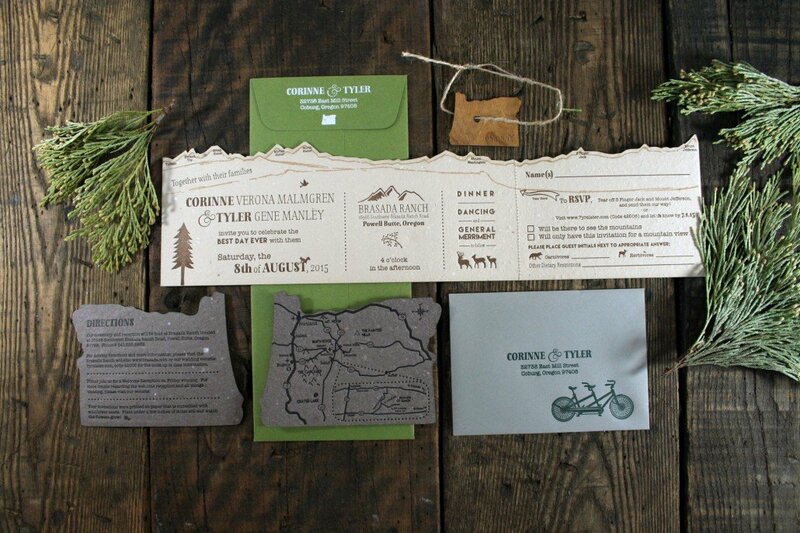 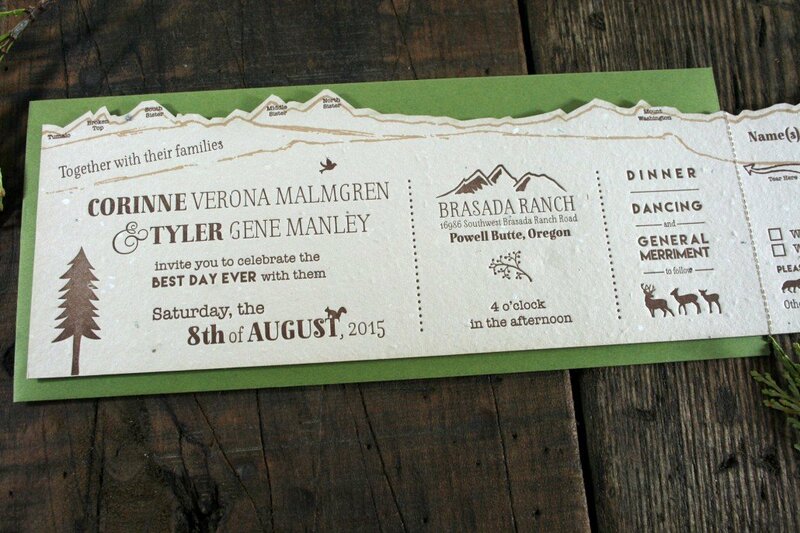 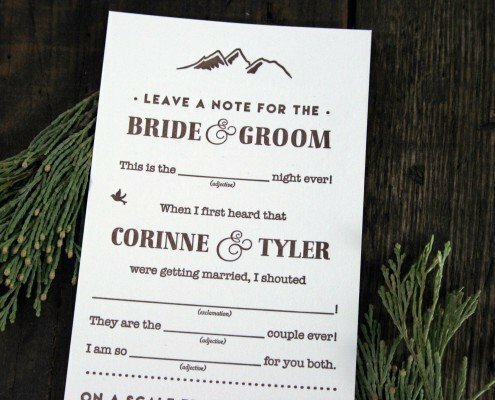 Inspired by the beautiful landscapes and gorgeous outdoor textures of central Oregon, this wedding invitation suite combines many of our favorite materials, and features adorable woodsy touches! 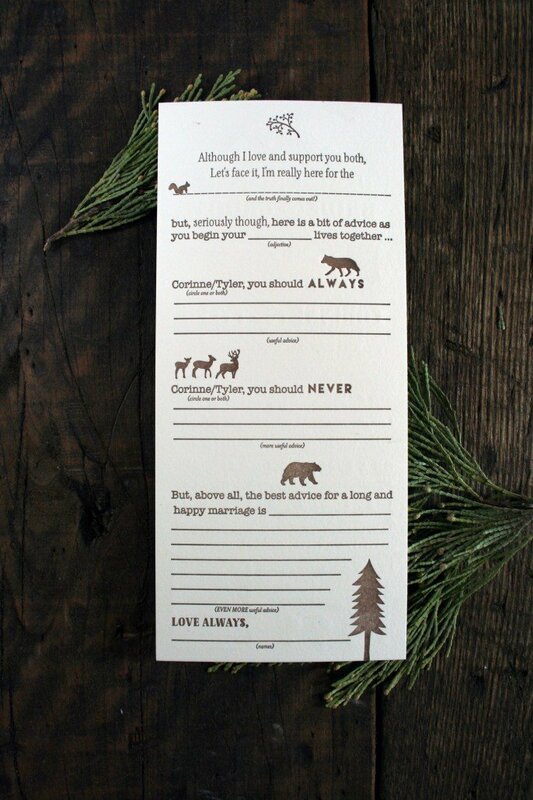 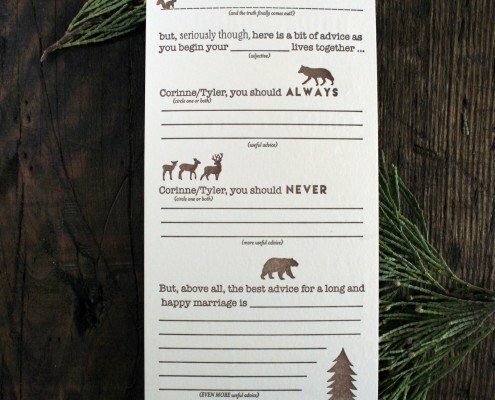 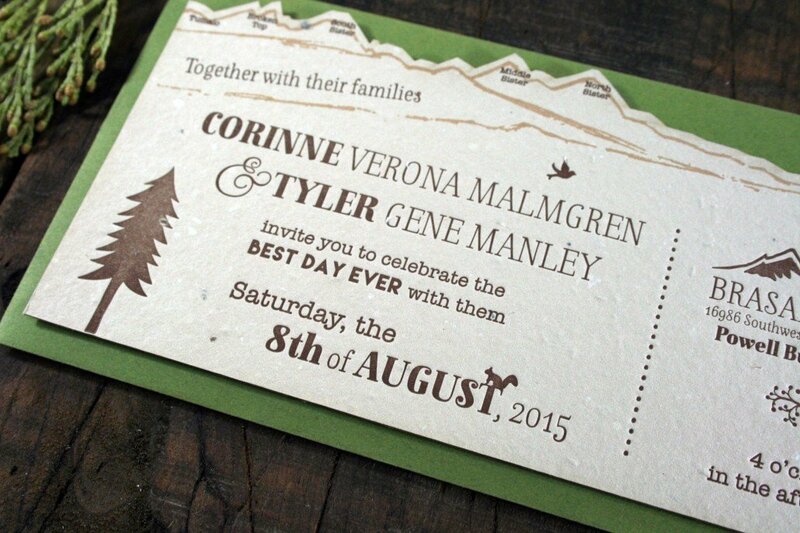 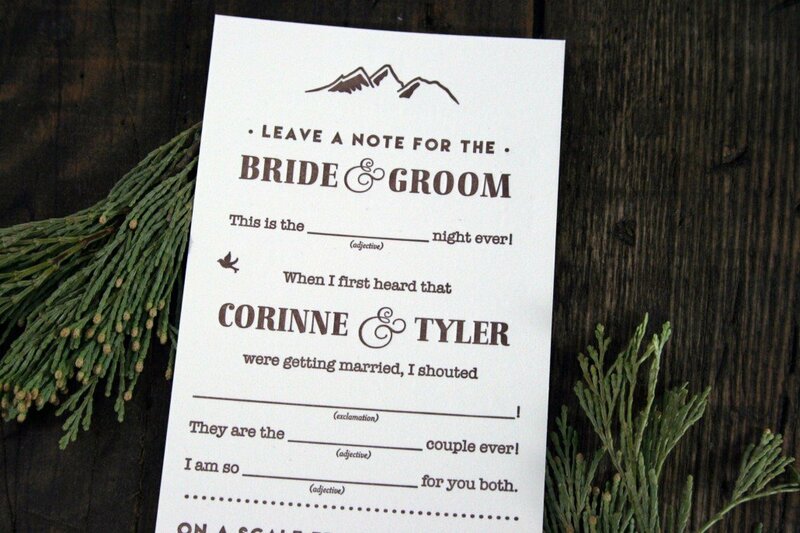 Corinne & Tyler’s invitations feature rich letterpress ink colors in chocolate browns, tans, and evergreen. 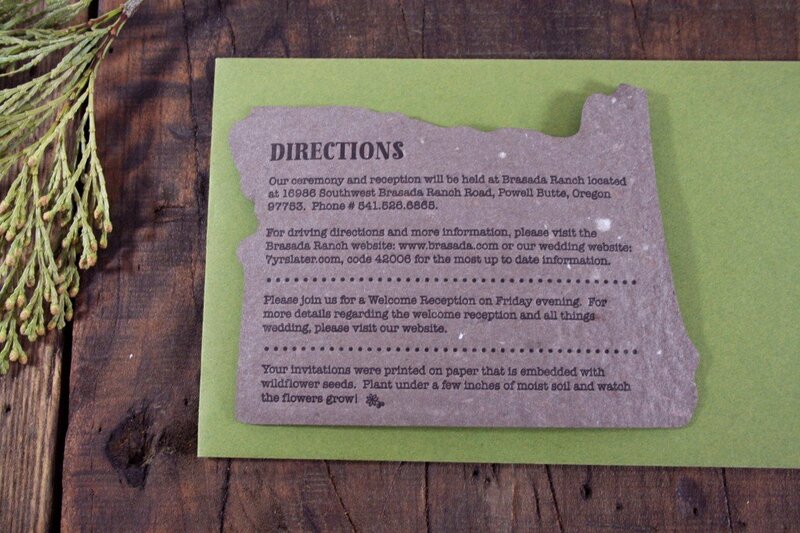 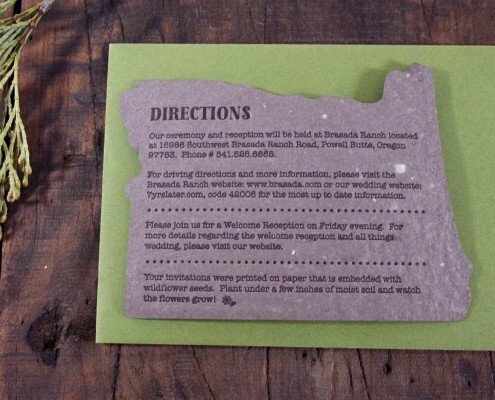 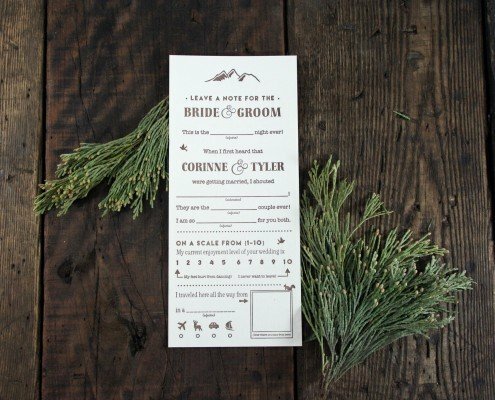 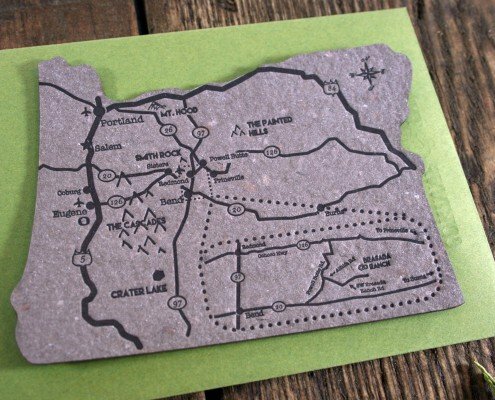 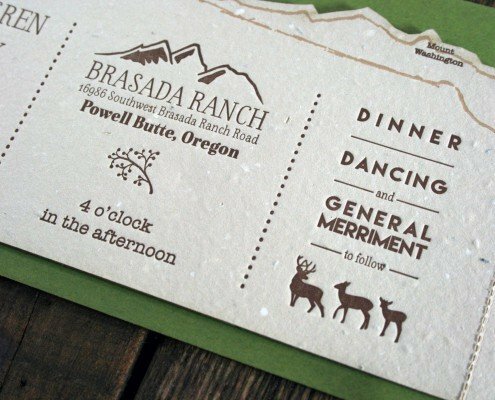 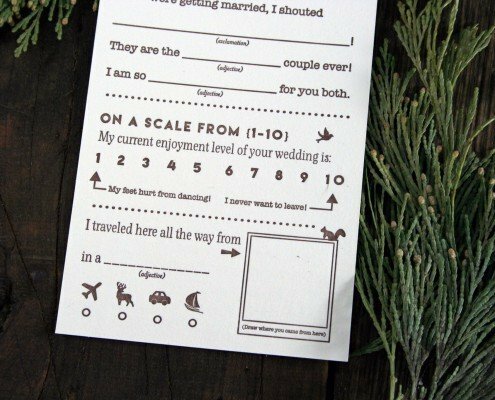 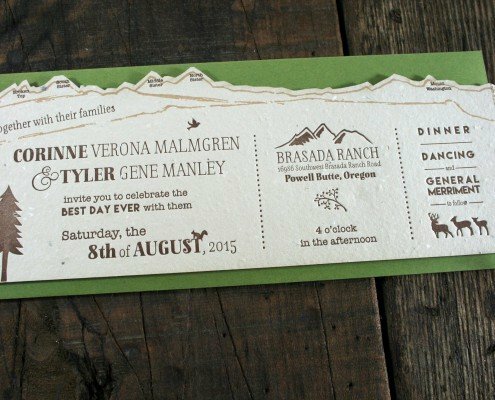 Their main invitation, reply card, and Oregon-shaped map and directions card were printed on handmade cotton paper from Porridge Papers in Lincoln, NE. 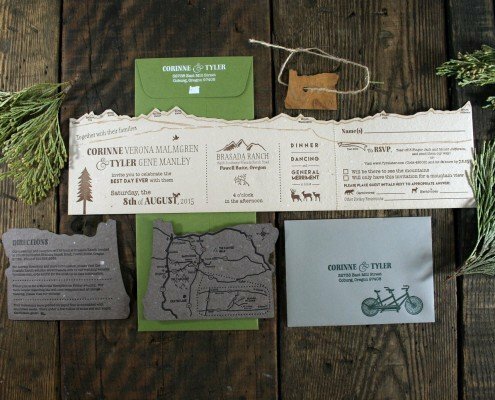 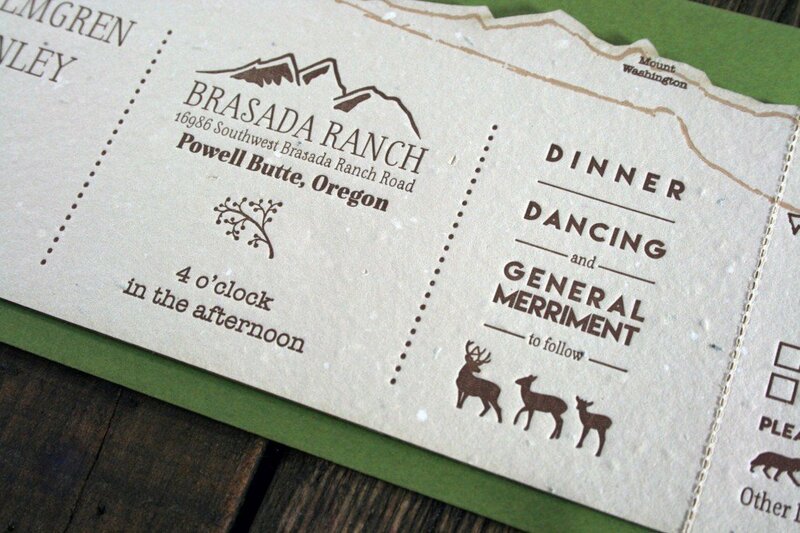 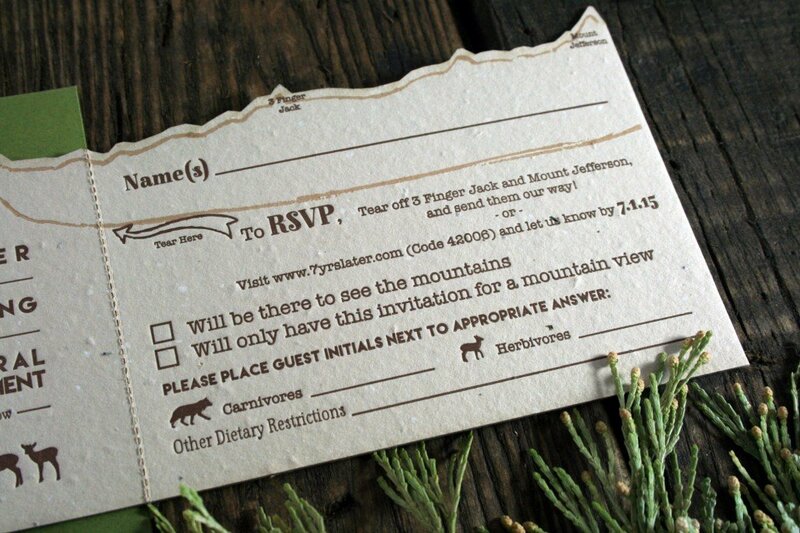 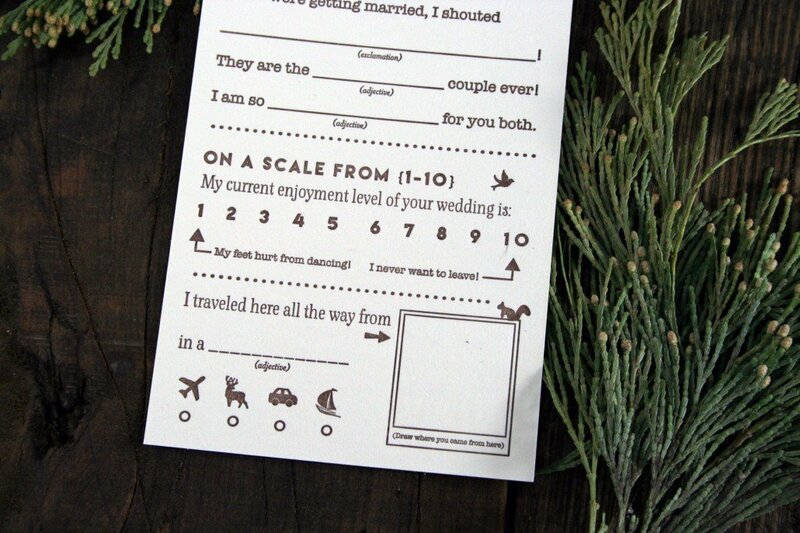 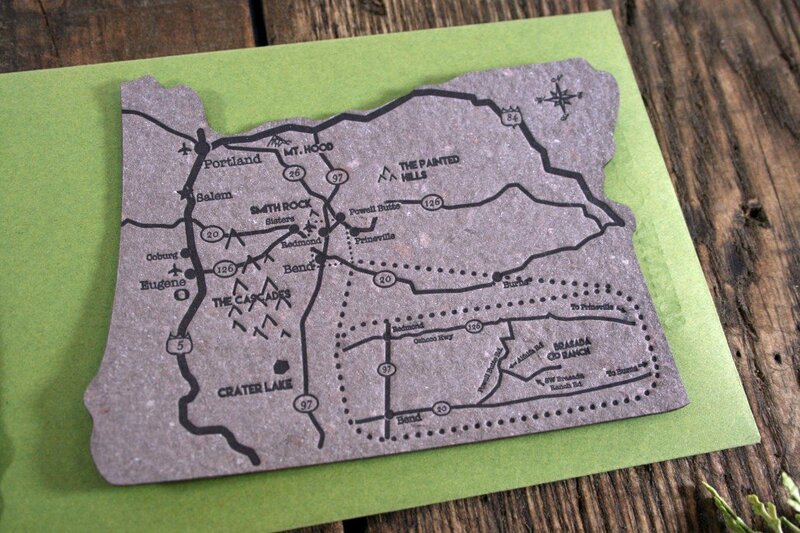 We laser-cut their oversized t-length invitation to feature a panorama of the Oregon Pacific Cascade mountain range. 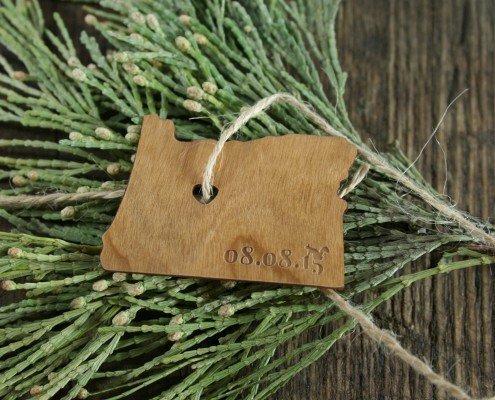 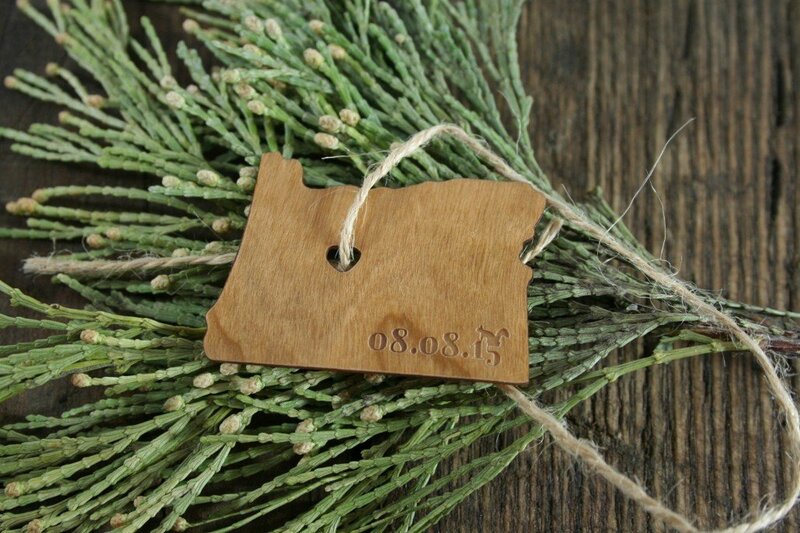 A small, real maple wood, Oregon-shaped tag with their wedding date engraved in the bottom-right corner tied all of the pieces together with rustic beige twine.